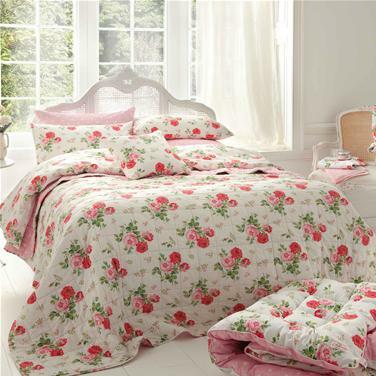 For a while now, I’ve decided that when I eventually have my own house I would like the spare room to be decorated completely in Cath Kidston. Who wouldn’t want whimsical, “vintage chic” in their back bedroom? I love the palette of pretty pinks and blues, combined with clashing turquoise. At the Spitalfield’s market Woman’s Day Event I felt drawn to the Shoreditch Women’s Institute stand, decorated with pretty Cath Kidston esqe designs. I am at the start of my career, and it will be a long time before I even consider having children. Yet I’m slightly drawn to this idea of homeliness. Whilst studying for my masters, we’ve had a cleaner for the kitchen yet I have never made anything in there more adventurous than pasta. I knew I would only be living there for a year, so it seemed silly to spend all my money on a rainbow of food dyes and a spice rack. If my mum reads this, she will definitely have a laugh. Living at home, I never made anything in my life… ever. When I was studying in Leeds I had a dinner party, where I made a stew. None of the vegatables were cooked, and one of my good friends kindly said, “This is delicious but I’m not a huge fan of raw veg… could I just have the pasta?” Dessert was a bought apple pie and ice cream. My mum, on the other hand, is a fantastic cook. She makes the most amazing cakes and flans, and whenever she would make a batch they’d be gone in minutes amongst my university friends. Her decorating skills are next to none, and I really think she should open a bakery, and I can be the honorary cake sampler. There would be a tiny tea room attached, with tastefully mismatching antique furniture and china. As much as I have adored my London life, I am looking forward to spending a while at home. I will be moving back to the North-East tomorrow, and am looking forward to day trips around the beautiful dales and meeting friends for picnics in York. In a world that is so uncertain, I know that home will always be there.